Ever since she was a child, Rebecca has been enchanted by her grandmother Gemma’s stories about Briar Rose. But a promise Rebecca makes to her dying grandmother will lead her on a remarkable journey to uncover the truth of Gemma’s astonishing claim: I am Briar Rose. A journey that will lead her to unspeakable brutality and horror. But also to redemption and hope. The last book that gripped me like this was The Book Thief. I was drawn in and couldn’t wait to know more as the story unfolded. I, like many others, love fairy tales. The title “Briar Rose” was what caused me to pull this down off the bookstore shelf. The synopsis sounded quite interesting, and really gave me no indication of what I was in for. If you’re looking for a book that makes history relatable, and showcases how trauma can manifest itself, look no further. 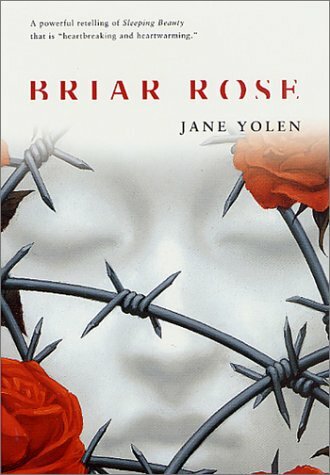 Briar Rose is a hybrid retelling of Sleeping Beauty, which manages to entwine the past of a woman into the fairy tale. The constant showcase of bits and pieces of Becca’s grandmother Gemma’s version of the story works to seamlessly mix the past with a warning for the future. Although the story is original and compelling, there are places where the writing leaves something to be desired. The repetition and disconnect between Becca and her two sisters is a bit jarring, and their lack of depth and characterization at times makes the story seem forced. While Becca is our protagonist, we learn little of her besides her love for her grandmother. Several times, as if thrown in haphazardly, Becca says that she is good at something or capable of something, explaining why, instead of showing us, and often about unimportant things, such as the ability to read a map and give directions. Overall, I really enjoyed this book and intend to keep it around for years to come, hoping that someday friends or family members will get the enjoyment out of it that I did. I found it quite gripping and hard to put down. Due to some content that younger children simply wouldn’t understand I would recommend reading ages 6th grade and up. If this is a book you have read and have fallen in love with you absolutely must read The Book Thief by Markus Zusak and The Boy in the Striped Pajamas by John Boyne. I will say that this one did not pitch me into the emotional upheaval that The Book Thief did, perhaps because the protagonist is too far removed from the past. Both of the novels mentioned above will bring you into the world that Becca’s grandmother experienced, and you will be taken for quite a ride. 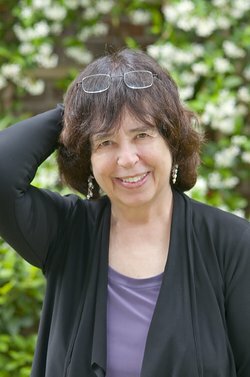 As Jane Yolen’s biography listed on amazon is at least triple what the synopsis of the story is, you can instead learn about Jane at her Amazon page here.